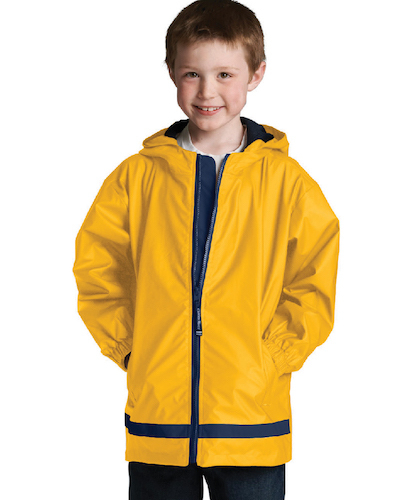 Keep your little ones dry and stylish in this monogrammed waterproof rain jacket from Charles River Apparel. 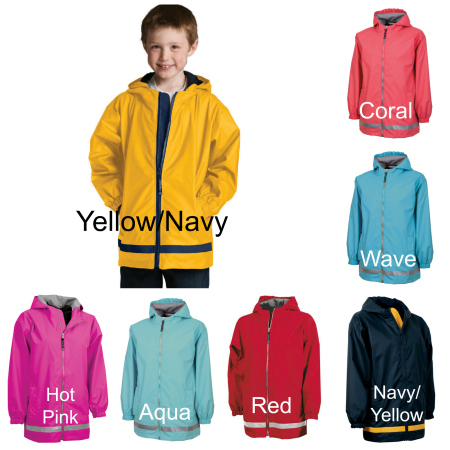 These jackets are not only waterproof but also wind proof! They feature bright colors and a reflective stripe for safety. The outside is 100% Polyester Polyurethane and the inside is lined with a breathable mesh! Add their monogram and your littles will be singing in the rain in their personalized rain jacket!